David Ian Allan was born 7th July 1954. He was initiated into Freemasonry on 2nd December 1977, passed on October 27th 1978 and raised on 23rd February 1979 into the Ashford Manor Lodger No. 5045 in the Province of Middlesex. He was installed as Worshipful Master in April 1984, and served as Director of Ceremonies between 1985 - 87, Secretary 1987 – 97, Charity Steward 1997 – 2000, and Chaplain 2004 – 2007. He is currently a member of Albert Duke of York Lodge No 4970, who amalgamated with Ashford Manor in 2006. He joined Prince Michael of Kent Lodge No. 9120, the lodge for Provincial Grand Steward of Middlesex in 1984 where he served the offices of Assistant Secretary, ADC, DC and was installed as Master in 1999. He also joined Middlesex Masters, No 3420 in 1992 and served as Secretary 2002 – 2004 and Senior Warden in 2009. He was the founding Junior Deacon of Scriveners Lodge No 9588 in 1995 serving as Charity Steward 1996 – 1997, Secretary 1997 – 2000 and was installed as Worshipful Master in 2001. He joined Quadratic Lodge No 1691 in 2000 and was installed as Master in 2011 and joined Globe No 23 in 2001 where he was installed as Master in 2010 as a consequence of which he was appointed Grand Steward in 2011 and elected into Grand Stewards Lodge the same year. He was appointed Assitant Secretary in 2013 and Secretary in 2015. David was also advanced into St Pancras Lodge of MMM’s and the RAM in 2003, joining Tower Hamlets No 892 in 2005 and was installed as Worshipful Master in 2009. He Joined Ealing Lodge and Ealing RAM in 2013 becoming Treasurer until 2017. David was appointed Assistant Secretary of the Middlesex Charity Forum in 1990 and Secretary the following year and was appointed Secretary of the Middlesex 98 Festival in 1993 and the Festival Chairman for the Staines Masonic Centre in 1996. In 1998 he was appointed Deputy Chairman of the Middlesex Charity Forum and Chairman in 2010 when he became Chairman of the Middlesex Charity Awareness Committee until 2015. David served as Vice Chairman of the Middlesex 2009 Festival Committee from 2004 – 2009 and is currently chairman of the Province of Middlesex 2010 Festival. He served as a Visiting Officer in Middlesex 1998 – 2004. 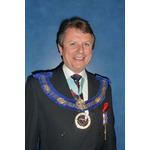 He was elected and served as a Director of the Twickenham District Masonic Centre from 2007 – 2010. Was the organiser of the Master and Initiates receptions in Middlesex from 1986 – 1989 and also organised the Mason 2000 Conference at the rugby stadium in Twickenham in 2000. 2006 Edited the GLMMM 150 Souvenir Brochure. Martin Faulks was born on the 21st December 1977 in Norwich and now lives in Ely, Cambridgeshire with his fiancée Kindra. During his youth Martin became a proficient martial artist, winning three gold medals at regional level in the Korean art of Kuk Sool Won. His love of sport extended to fencing and boxing, and he achieved the status of Norfolk Fencing Champion in 1993. During this time Martin developed a great interest in meditation and its related disciplines, drawing inspiration from both the Eastern and Western traditions. A discipline that has truly become his greatest calling in life and has seen him travel to Japan, Egypt, Sri Lanka and the mediterranean to seek out and train with great masters. His works on these subjects include ‘The Emerald Tablet: A Commentary on the Path of the True Adept’, ‘Shugendo: The Way of the Mountain Monks’, and ‘Adepthood: Complete Success on All Levels’. Martin’s interest in history and philosophy led him to Freemasonry and he was initiated into Burlington Lodge No. 96 in December 2001, raised to the Third Degree in 2003, and he took the chair in 2009. Martin is an active member of Burlington, having been Assistant Director of Ceremonies for three years and Charity Steward for four. One of the earliest founded lodges in England, Burlington was the first ever to have an Inner Guard. It was also one of the two founding lodges of the Emulation Lodge of Improvement, which went on to found Emulation Ritual, the most popular form of Masonic Craft Ritual in the United Kingdom today. Having found a passion for Freemasonry, Martin, who was at the time running a book distribution company, felt he would like to put more into the Craft and so approached David Allan to see if there was an opportunity with such an eminent firm as Lewis. He was first offered the position of Marketing Manager of the Lewis Masonic imprint in 2005 and later promoted to General Manager in 2012. Through his work with Lewis Masonic Martin has made it his duty to help spread the good works of Freemasonry and promote a positive image. Other Masonic appointments have included membership of Cabbell Lodge no 807 in Norwich, where Martin held the position of Master in 2008, but retired from the lodge after his year in the chair due to time restrictions. He is also a Past Master of Canonbury Tower Lodge, which meets in the spectacular surroundings of Canonbury Tower in Islington, London. The former home of Sir Francis Bacon, this lodge is filled with some of the most interesting and scholarly minds in Freemasonry. Beyond the Craft, Martin has a keen interest in the higher reaches of Rosicrucianism and its related subjects. 2018 was a very exciting year for Martin. First he published ‘A Mosaic Palace: Freemasonry and the Art of Memory’, a culmination of several years of research into the underlying structure of Masonry. His findings were first presented to QC Italy in Rome, and he has since given his talk to several other lodges and chapters. Secondly he was honoured to receive London Grand Rank from the Metropolitan Grand Lodge in London. Also known as writer Philippa Faulks, co-author (with Robert L.D. 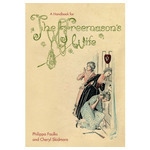 Cooper) of The Masonic Magician, and A Handbook for the Freemason's Wife. Her pedigree within the world of Freemasonry includes her work as former Publishing Manager/Editor at Lewis Masonic (producing over 35 Masonic books), and historical profile writer for Freemasonry Today. A confirmed Egyptophile, she spends her free time in Egypt researching a wide range of subjects and assisting her partner, Lee, with photogrammetry and 3D conservation of artefacts. She is a member of various Egyptology societies and works closely with experts in the field with regard to her research. Her interest in Egyptology, social history and psychology have fuelled the subjects for her two new book projects. Her passion for non-fiction writing and publishing has led her to work closely with community groups to encourage literacy; regarding publishing she offers consultancy and education to schools, heritage groups, archives, museums and researchers. Philippa is also an advocate for disability awareness and accessibility - she suffers from both hearing loss and Hereditary Spastic Paraplegia (a very rare degenerative motor neuron disorder) and aims to raise awareness of the impact of long term and/or sudden disability and rare diseases. She has helped raise the profile of disabled Freemasons via The Square and feels strongly that those with disabilities of all kinds are catered for so that they can continue to engage in and enjoy their hobbies and pastimes. 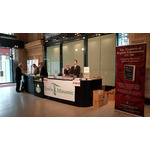 * Philippa is the author, editor and ghostwriter of ten books. * Member of The Society of Authors (SoA); Quatuor Coronati Correspondence Circle (QCCC); The Association for the Study of Travel in Egypt and the Near East (ASTENE) ; The Egypt Exploration Society (EES); Manchester Egyptology Society (MES); Action on Hearing Loss; HSP UK. * She lives and works in Greater Manchester with her partner and various fur-babies, and enjoys gardening, especially the cultivation of heritage plants and fruit trees. Please let us introduce you to our new Customer Services Assistant, who spent many years working in the subscriptions department for The Square magazine. Vera will be able to offer you a one-to-one service for all areas of your consumer needs whether on the end of the telephone or via email.